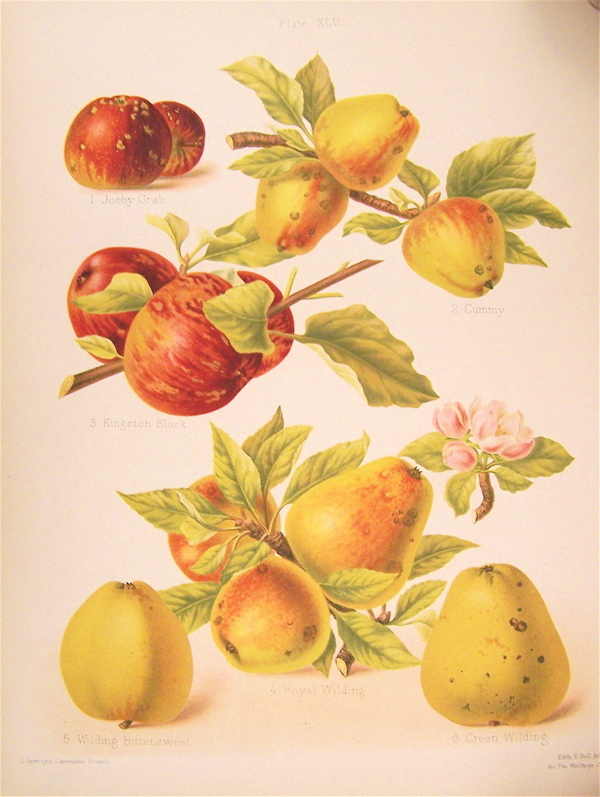 Fruit; of medium size and irregular in shape. Skin; dark mahogany or deep crimson, deep yellow-orange where shaded, the surface strewn with fine cinnamon russet dots. Flesh; yellowish, pink near the skin, fine grained. the juice is plentiful, rich, tawney-red in colour and agreeable in flavour, moderately sweet, pleasantly acid with an astringent after taste. [HP pl.XLV/1878]. An old cider apple from Somerset, probably from Kingston near Taunton. [HP pl.XLV/1878]. Listed in the 1845, 1850 and 1857 catalogues under under Cyder Apples, ‘The Best Known in Devonshire’ [Apple no.57/1845].